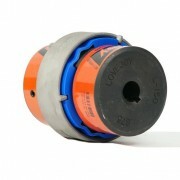 Overload couplings preform a critical role in saving the rest of the drive components when an unexpected overload occurs. Some overload couplings will slip or drop our when the overload happens and then start driving again once the overload has been removed. While others will sacrifice the element at the time of overload, once the element has been replaced the machine will be operational once again.